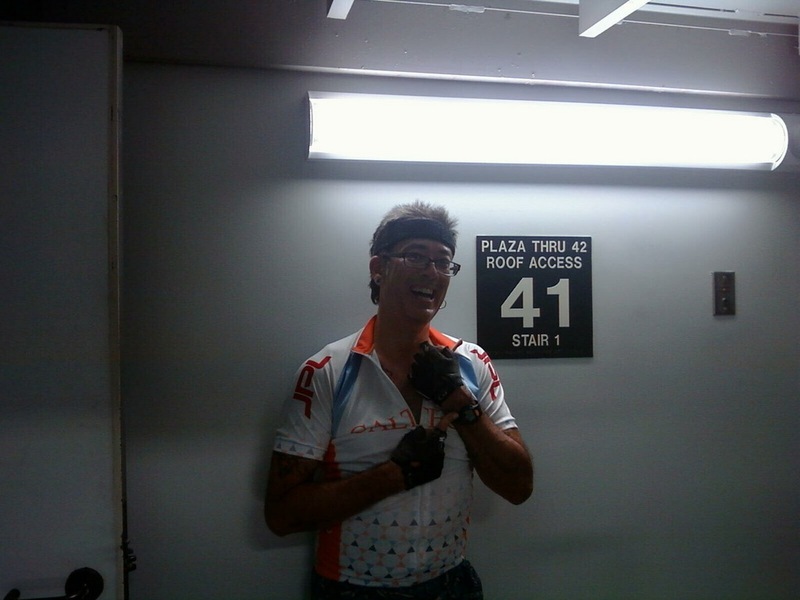 Today was yet another stair climbing practice at One California Plaza in downtown Los Angeles. 42 stories, and, well, a weird sort of ‘fun’. There was a big group today, and by the time I got there, there were already many, many people on their way up the stairs. Of course, that meant that there were many, many people for me to pass. So I headed on up. It’s kind of a mixed bag for me when there are a lot of people on the stairs. On the one hand, I get a psychological boost from passing people. But on the other hand, passing people tends to break my rhythm and slow me down. So it’s good and bad at the same time. Last fall, when I was doing the U.S. Bank tower stair climb, there were several times where I had to pass people, and it sometimes took me several flights to get past them. This was frustrating, since the flights are very short, and if you don’t get past someone on the first flight, you have to take the long way around on the landing, and you lose most of the ground you gained. So this time, I resolved that I was not going to lose ground. Any time I was forced to pass on the outside, I was going to just have to put on a little burst of speed. Just enough to get past them on one flight. Yes, that hurt. But it was better than the frustration of having to spend several flights passing. I only looked at my watch at the 7th and 20th floors. 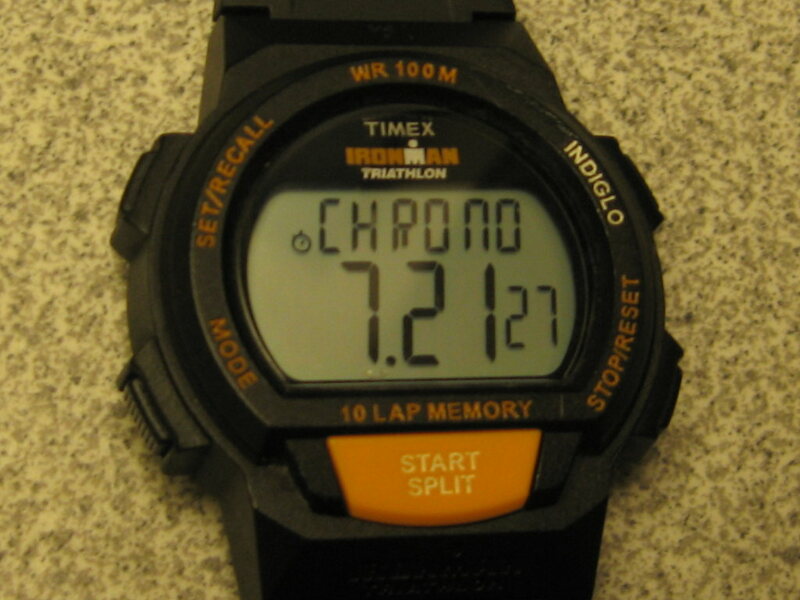 At the time, I could see that I was on track to do a decent time. I was hoping to do as well as I did last Monday, or maybe a second or two better. But when I got to the top, I saw that I’d done it in 7:21. That’s a full seven seconds faster than my time last Monday, and 45 seconds faster than my time last year.